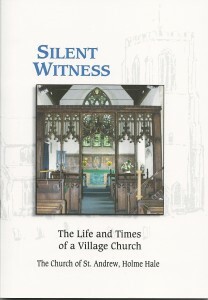 The origins of what is now Holme Hale church are uncertain. Reference is made to its construction having “commenced in the reign of Richard III” (1483-85). Yet there is also reference to “the erection of the new church about 1430″, and the tower is reported as being built “about 1431-35″, both in the reign of Henry VI. However, the church contains some 11thcentury Norman features, and the earliest recorded rector is Adam Talebot in 1317, when Edward II was on the throne. Holme Hale was originally two lordships: Holm and Hale, both held in the 14th century from Lord Fitzwalter: Holm by Sir Robert de Hulmo and Hale by Sir Edmund de Illeye. The two lordships were separate, distinct places, each with a church dedicated to St Andrew. The Black death in 1349 decimated the population, and the two lordships were eventually combined in about 1375, doubtless on the authority of Edward III. The tenures of both lordships were then held by the de Illeye family, whose arms are in the westernmost window in the nave. There is also a brass inscription for the family in the floor near the font. The inscription is in Norman French and reads “You who see this tomb pray for the souls (of) Edmund Illeye, Chevalier, and Alice his wife and the children”. The two churches of Holm and Hale were united in about 1470, during the reign of Edward IV. Hale church had been substantially improved, so it was Holm church that was abandoned. Holm church lay some two miles to the south east of Hale church, and presentatation of rectors to it are recorded in 1320 and 1340 as Southolm Juxta Hale. Nothing remains of it now, though there is evidence that it was still standing in the 15th century. The church is a building of flint and freestone in the Decorated and Perpendicular styles. It consists of a small chancel, lofty nave, north aisle and porch, and a massive square western embattled tower. There are a number of unique features. The hammerbeam roof has large effigies of angels or priests hovering over the nave. The carved oak rood screen is particularly fine and contains two mouchette wheels filled with intricate tracery. The pulpit and prayer desk have Jacobean panels. The old pew ends in the north aisle are unique in Norfolk. They are without poppyheads and have curious and quaint carved elbows, comprising both human and animal figures. All the human figures are defaced, suggesting that these old pew ends date back to, or perhaps beyond, the reign of Henry VII, to Roman Catholic times. The most significant date in the life of the church was 1534. This was the year in which Henry VIII passed the Act of Supremacy, ending subordination to Rome, and declaring the English monarch as supreme head of the Church of England. Thus were introduced changes in church governance and in forms of worship, together with the removal of visible expressions of Roman Catholicism. The registers date from 1538, when Henry VIII was king, the oldest being of parchment. The earliest are in old English, being replaced by Latin in 1545, and are lodged with the Diocesan Record Office. The reign of James I saw the arrival in 1634 of the first of the six present church bells, the last one arriving in 1746, when George II was king. All six were rehung in 1911 at a cost of £229, as a memorial to King Edward VII. Memorial slabs laid in the chancel commemorate members of the Bedingfield and Eyre families who held the lordship in the 17thcentury. Other slabs laid at the west end of the nave commemorate Robert and Edward Browne, Robert Hammond and Robert Beckington, all of whom were distinguished parishioners in the 17th and 18th centuries. The interior of the church was fully restored in 1868, at a cost of £650; and the east window was glazed in 1895 in memory of Captain Henry Smith Adlington of Holme Hale Hall. Since then there has been a continuing programme of repair and restoration to safeguard the future of this splendid and gracious building – an irreplaceable part of our heritage. 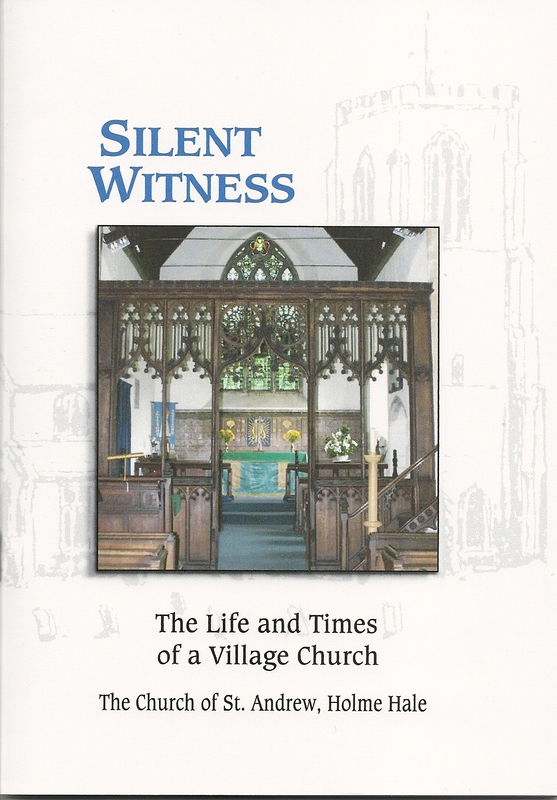 A copy of our church guide (36 pages including photographs) is available for £4.00, plus postage.